It’s Day 2 of my Christmas Gift Round Up! And now that we got those great gifts for her taken care of, I present you with some pretty cool gifts for that special guy in your life. Cause let’s face it, guys can be pretty hard to shop for and if you are like me, I always like to really surprise my husband with gifts he just won’t see coming. 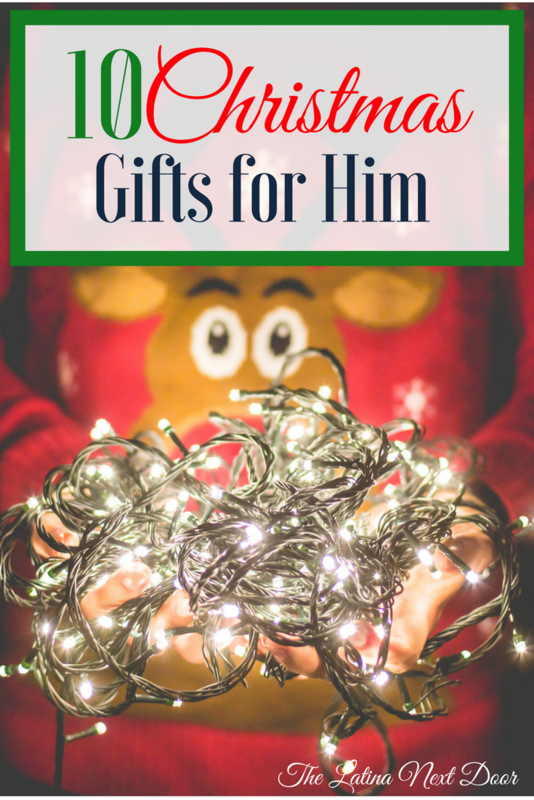 So here are my 10 great Christmas gifts for him. Now I know what you are saying… a sweater?! 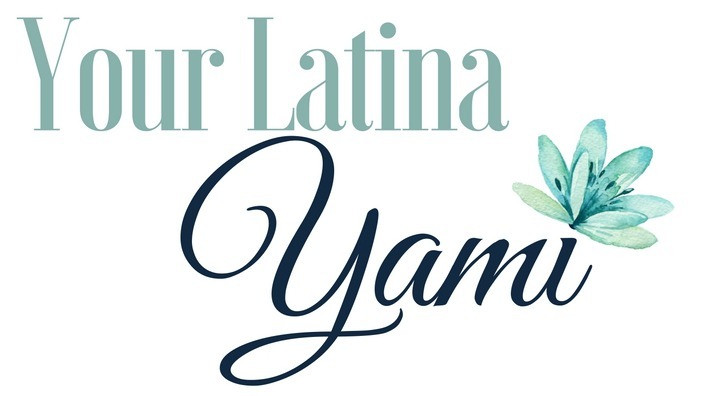 Yami, really! Okay, but let’s think about about this Mockneck Twist Sweater for a bit. It’s not just any sweater. The mockneck is the perfect way to make any sweater look chic! I love a man in a dressy sweater and come on, how often does your guy shop for himself anyways? Let alone for something nice…. This is the perfect time to get him something like this. Plus it’s perfect for the cold weather and it comes in several colors. 2. Okay, so a couple of years ago I bought my husband a remote control helicopter, but this Star Wars Fighter Drone will win any man’s heart! First, it’s a drone. Second, it’s Star Wars. And third, it will get him off the couch (that one was for the ladies, ha!). But seriously, how fun would this be? It will take him back to his youth. 3. What man does not like sportswear? And with Under Armour being the most popular brand in sports you cannot go wrong with this Under Armour™ Men’s Pullover. Seriously, my husband has like 6 of these. All different colors. They are warm and are great when you need something quick to put on before you leave the house. 4. This one is probably my favorite. Get your guy a new wallet that he will be so happy to carry. This Wallet with Bottle Opener Money Clip is so freaking cool. My hubby has one and he loves it, because he is never short a bottle opener. This wallet has “saved” him several times while out and about. Plus the opener acts as a money clip and it’s definitely a conversation piece he will want to brag about. 5. And just like women like their drinks hot, men like their drinks cold. This RTIC Tumbler is the more affordable version of the Yeti cup, but works just as well. Plus, it’s extra large! And if your guys has one of these already, no prob! Get him this No Slip Handle for 30 Ounce Tumblers as an accessory for easy carrying! I need to get my guy one of these. This is genius! 6. Women shouldn’t be the only ones who travel in style. This leather toiletry bag is perfect for the man who travels. It has more than one compartment for easy organization. Keeping his things in one easy-to-find place will be a breeze with this luxury bag. 7. This one might seem weird, but hear me out. My father and my husband enjoy having their occasional bonding time via cigars and whiskey. A Cigar Sampler Pack is perfect for those who enjoy hanging out with the guys. Plus, even if you don’t know much about cigars, the sample pack makes it easier for you NOT to mess up (LOL!) and it gives them several things to try out. I have purchased these on more than one occasion and for different people and they have always been a big hit. 8. The cold weather is coming (if it’s not already here) and these Gloves with Phone Screen Touch Technology are perfect for those who don’t want to remove their gloves to have to answer that call or return that text. The index and thumb are equipped with special tips to still use on your phone screens. BRILLIANT! 9. I don’t know about your guy, but mine is always in search for the next best bluetooth speaker. We have more than I can count at this point. I like this option because it is perfect for an office or night stand without it looking like a mini boombox (bleh!). Plus it has great reviews and is compact enough to go anywhere. It even comes in 2 wood tones to match your decor. The Cube Minimalist Speaker is a winner! Right now my husband’s favorite bluetooth speak is JBL Flip 3 Splashproof Portable Bluetooth Speaker. The name says it all! It is waterproof and we take it to the pool and the beach without the worry of it getting damaged so it is definitely a more laid back speaker that can take a lot of wear. It also has a wrist wrap so you can carry it around easily and it is small enough to put in a gym bag. The best thing is that it comes is several sizes so it can fit any need. Plus it is super sturdy. We have dropped those things so many times are they are still in awesome shape. They are completely wrapped in a strong rubber coating so they are fully protected, especially if you have kiddos. We have 3 different speakers. Yes, THREE! Here are all of the ones we own and LOVE! And I promise, your guy will too. 10. Most men are practical creatures, I know mine is! And sometimes you just don’t have a gas station nearby to put air in your tires. If you are like us and have a FIRST AID kit in your car, then this Portable Air Compressor is another must have. You never know when you may need to fill up and this is great because it uses the car to power it up, has storage for the needles and has a place to wrap up the cord so it won’t take much space at all. Perfect gift for the Macgyver in him. Hope you enjoyed these great Christmas gifts for him and that you now have some new and interesting ideas for the men in your life! I will be posting gifts for kids soon so stayed tuned and subscribe so you don’t miss out! Love the drone idea. But I’d want to play with it as much as hubby! HA! Love it! I totally understand! That would be me too! Awesome list for any occasion as well. I am thinking anniversary as well. Hmm thanks! Ohhhh! Yes! Anniversary gifts too. That’s great! My husband has been looking for a good bluetooth speaker for ages! This one looks great. Thanks so much for sharing. Great! I am so glad you liked that one! I always need ideas for my husband. Thanks for this list!